Above: The tomb of Sir John Moore, the British general who defended La Coruna during the Napoleonic Wars. Above: Santa Maria del Campo. 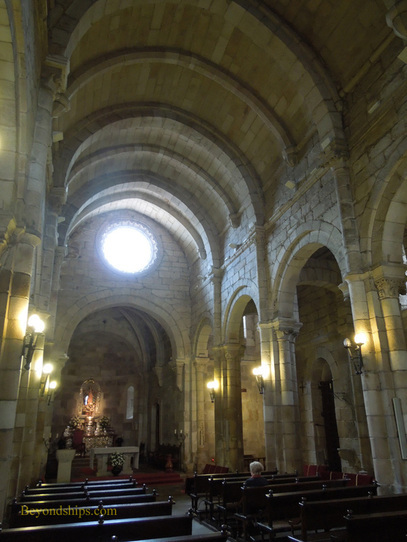 Below: The interior of Santa Maria del Campo. Below: Castillo de San Anton. While the English are remembered as the villains of that episode, the British are remembered as heroes in a later episode of La Coruna's history. During the Napoleonic Wars, Britain sent an army to Spain in order to help the Spanish resist the French invasion and Napoleon's attempt to place his brother on the throne of Spain in 1808. The Allies, however, were no match for Napoleon, who took personal command of the French forces in this part of the Peninsular War. Therefore, the British were forced into a 250-mile retreat to La Coruna, where they were to be evacuated by sea. The British commander, Sir John Moore, was victorious over the French Marshall Soult in a rearguard action that took place just outside of La Corunain 1809. This allowed 15,000 men of the British army to escape and eventually return to Spain, defeating the French in 1814. But, Sir John Moore was killed in the battle. His tomb is in the San Carlos Garden in the old town. 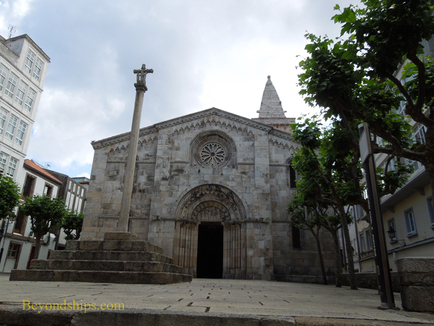 Also of interest in the old town are the churches and religious buildings. The most important of these is the Colegita de Santa Maria del Campo. It was begun in 1210 and finished in the 1400s. 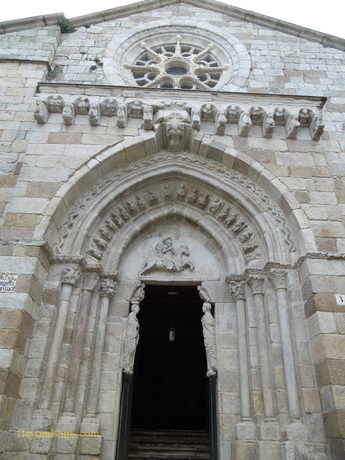 Although not elaborately decorated, it has some interesting statuary, Romanesque tombs, and a solid silver alter piece. Its dark precincts transport you back to medieval times. Along the same lines are the 12th Century Romanesque Iglesia de Santiago, the city's oldest church and the Convento de Santa Barbara (1613). 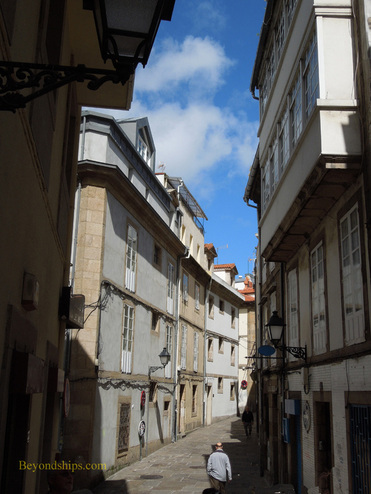 Beyond its points of interest, the old town is interesting to explore just for the atmosphere. Situated on a hill, its narrow cobble stone streets twist and turn and go up hill and down. Ancient buildings line the sides. Just when you think that it has not changed in centuries, a car clatters down the street and squeezes by. The old town is the area originally enclosed by the city walls. This was where the more well-to-do residents lived. 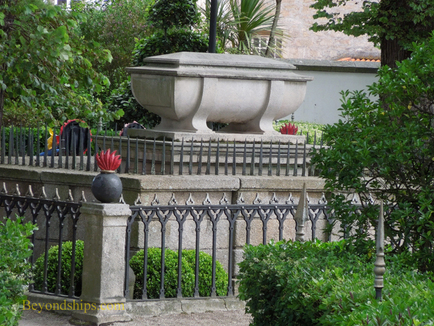 Others were allowed to build outside the walls in La Pescarderia. 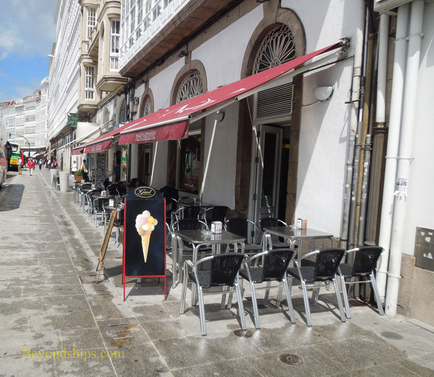 Today, this newer area is where most of the shops are as well as sidewalk cafes and tapas bars. 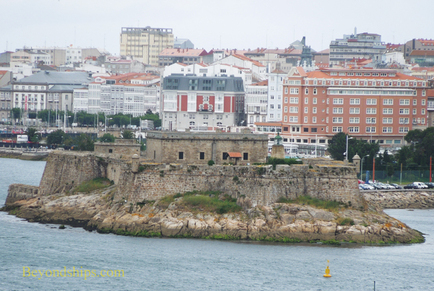 La Coruna also has some museums including an archeological museum in the Castillo de San Anton and the Museo de Bellas Artes (Fine Arts Museum), which has works by Goya and Ruebens. There are also beaches within walking distance of the cruise port.